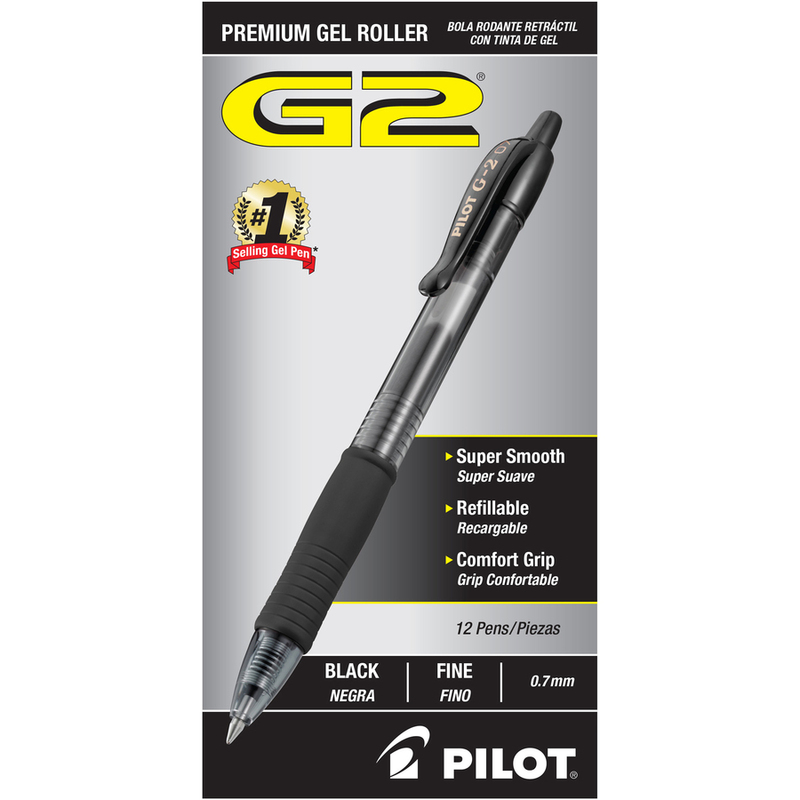 G2 Retractable Gel Ink Rollerball Pens feature water-resistant, smearproof gel ink for exceedingly smooth writing with a fine point. Contoured, latex-free rubber grip provides writing comfort. Retractable feature means no cap to lose. 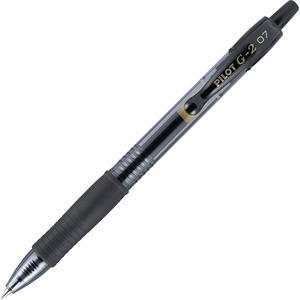 Long-writing pens are refillable.